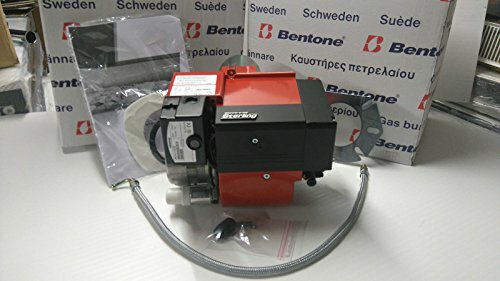 The Bentone 'Sterling Electro Oil' ST120 - 24-119kW. For a maximum boiler load of 43kW / 146BTU. W 280mm H 225mm D 194mm. Blast tube (out of the box) L 83mm Diam. 86mm. Fuel consumption 2 - 5.6 kg/h. A compact burner, easy to install. It is suitable for balanced flue applications when fitted with an air intake adaptor (not included).